For islanders living on the edge of a great ocean, the majority of Irish people do not have a great relationship with the sea or maritime affairs. 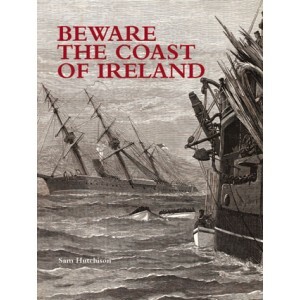 This extends to happenings off our coast, which should be better known-for example, the fact that the Spanish Armada in 1588 suffered greater casualties and lost more ships along the Irish coast than in all their battles with the English. The worst shipping disaster in the Irish Sea, the sinking of the Dublin mail steamer Leinster in 1918, is barely remembered. The same is true of the 135 seamen who were killed in Irish merchant ships during the Second World War. This book attempts to elaborate on these events and other marine tragedies on or in close proximity to the shore. 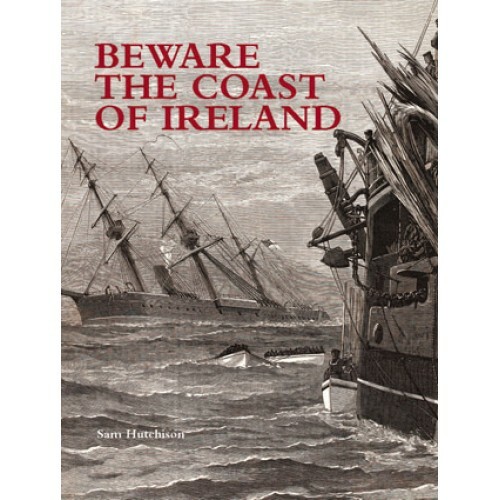 Some, like the sinking of the liner Lusitania, are of historical significance, but most are stories of great storms, hardship in the days of sail, total war, endurance, bravery, incompetence and negligence involving ordinary people but, in particular, those who go down to the sea in ships or carry out their business in great waters. Sam Hutchison retired in 1992 after 42 years in the insurance industry, including five in Singapore and Malaysia. He is the author of Towers, spires and pinnacles, a history of the cathedrals and churches of the Church of Ireland and The light of other days: a selection of monuments, mausoleums and memorials in Church of Ireland churches and graveyards and those whom they commemorate.